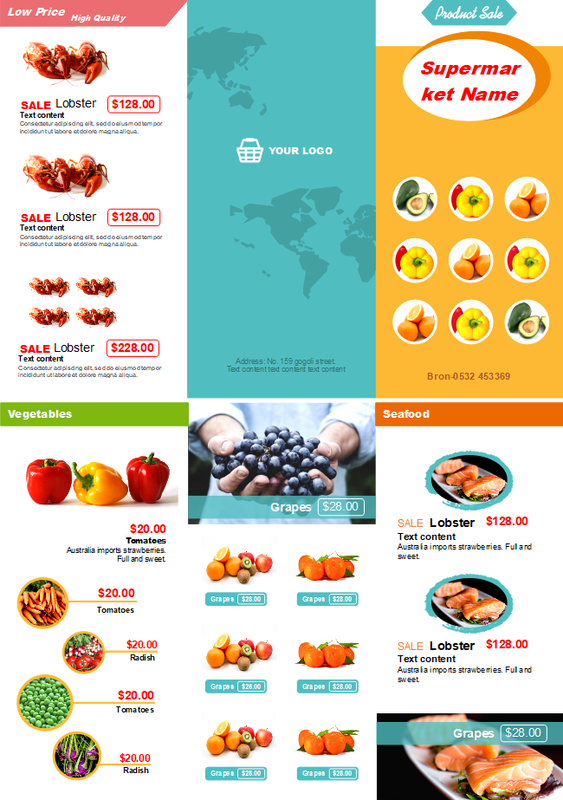 Description: Feel free to edit this tri-fold infographic style supermarket sales brochure template for your digital and offline sales channels. Incorporate your own creativity and ideas into the design of this brochure template. Why not start right now?